Bob Dunham is founder of the Institute for Generative Leadership (IGL) and has trained hundreds of graduates in the three-year Coaching Excellence in Organizations (CEO) program that sets the professional standard for coaching in organizations. IGL partners with Newfield Network – the leading school of ontological coaching – and also offers the discipline of Generative Leadership and management in the Generative Leadership Program™ (GLP). Bob’s passion is to bring coaching, leadership, and action in organizational settings back to their human foundations. He clarifies these foundations in the Generative Leadership framework. Bob’s experience as a corporate executive and COO of startups informs over thirty years of coaching, consulting, research and development of action and result-based practices for effective leadership, management, and teamwork. Bob works to establish leadership, management, and coaching in organizations as mature professions. 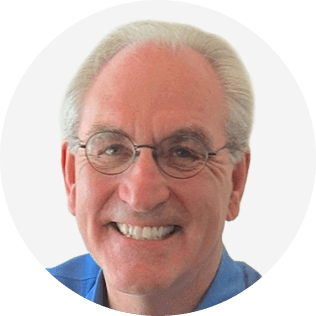 Since 1981 Bob has worked as an executive, consultant, educator and coach to executives, management teams, and coaches worldwide in leadership, communication, teamwork, and people process redesign. Prior to founding the Institute Bob was a VP at Motorola Computer Systems, COO of Action Technologies, and VP of Consulting for Business Design Associates. Bob also founded Enterprise Performance, a performance consulting company, where he and his teams have consulted with clients IBM, Discovery Channel, Adobe, Toshiba America, Classmates, Scholastic, Wells Fargo, and many other companies. Earlier in his career, he led the on-board software development team for the Hubble Space Telescope for several years. Bob is co-author of The Innovator’s Way – Essential Practices for Successful Innovation with Dr. Peter Denning, published by MIT Press, as well as author of articles published in numerous publications including Communications of the ACM, Training Magazine, the International Journal for Coaching in Organizations, and the Center for Quality of Management Journal. He has written dozens of proprietary papers used in his development programs. Bob was a member of the staff that developed the three-year Ontological Design Course in the 1980’s and also developed the one-year Management in Action program for Dr. Fernando Flores. He holds two degrees from Stanford University and has studied the discipline of embodied learning and leadership extensively with Dr. Richard Heckler, Thea Elijah, and others. He co-holds two patents for workflow technology based on the structure of human coordination. Bob has been a guest lecturer in the Executive Certification Program for Presidio Graduate School and in the Leading by Design Fellows Program for the California College of the Arts. He was Adjunct Faculty, Executive in Residence, in the Presidio Graduate School MBA program in Sustainable Management, and previously taught at the University of San Francisco. He is currently exploring Chinese inner wisdom traditions for their contribution to understanding and embodying generative leadership. The most powerful breakthroughs for coachees arise when they become aware in an area that they have been blind in. For example a ranking executive may have problems with their team’s loyalty and satisfaction, and in coaching you discover that they don’t know how to connect and sense what is going on with others in their conversations. It’s a blind spot. Awareness creates choice, and lack of awareness makes us blind. When we can produce new awareness and new choices, we can then help our coachee to engage in new practices with their new awareness to produce new results. This enables a path to build the power to produce outcomes that was previously missing. One of the blind spots that coaches and coachees can fall into is to miss the power of context. For example for many in our culture the context of learning is to understand concepts. This leaves out a more powerful context that learning is developing an embodied capacity for new actions results – meaning skill and impact. If a coachee lives in the world of understanding everything becomes content to understand and manipulate rather than context that changes ourselves, how we see the world, and how we act in it. The most powerful breakthroughs for coachees arise when they become aware of a new context in an area that they have been blind in. Awareness creates choice. As coaches we can bring the power of context. The new awareness and context then call for coaching of new skills. Context is almost never talked about – it is our assumed meanings, frameworks, and default answers from which we understand, observe, and act. New content rarely shifts people’s context. Rather our contexts shape what is possible with new content. To produce powerful new choices for coachees we must bring awareness of several new contexts, not only for learning, but for new answers to fundamental questions: what is action? What is a human being? What is leadership? These questions demand answers from a generative context – one that shows new choices, actions, and results. A generative context for learning then requires that as coaches we can help our coachee to engage in new practices with their new awareness, and produce new embodiment that enables new results. What is context and how it empowers coaching. What are 5 key context shifts to enable coachee empowerment. A new coaching context to produce coachee’s capacity to generate results that matter.